Can I cancel my membership before receiving payments? Please cooperate and wait until receiving all unpaid payments to be deposited to your PayPal account. We might have trouble sending money to your PayPal account caused by identification errors. Please contact us after logging in on RootTrip. Please cooperate to include your user ID, nickname, and the reason (optional) in your cancellation request. If you have upcoming trips or payments to receive, you must wait until the trip or the payment transaction is completed. I want to modify my profile on RootTrip. Please go to Menu ＞ Edit/View Profile. I want to cancel the link between my Facebook account and RootTrip membership. Here is how to cancel the link between Facebook and RootTrip. ※If you originally signed up for a RootTrip membership with Facebook authorization, you will need to provide us with your personal e-mail/password to cancel the link. This message indicates that you may have entered an invalid e-mail address and/or password. Please try again to enter the correct e-mail address and/or password. If you have trouble logging in using Facebook authorization, please make sure the link between Facebook and RootTrip is connected. Here is how to reset your forgotten password. 1. Tap/Click on [Log in]　＞　[Forgotten Password]　on the RootTrip home page. 2. You will receive an e-mail to reset your password from RootTrip. 3. Tap/Click on [Reset your password] then enter your new password. I do not receive emails from RootTrip. Please check your e-mail setting for any restrictions. If you are restricting e-mails, you may not receive e-mails from RootTrip: [info@roottrip.com], Please check the setting on your e-mail browser whether it allows e-mails from RootTrip: [info@roottrip.com] and e-mails with URLs. 「unknown email address」：This message indicates that your email address is already used with a membership at RootTrip. Please log-in to your RootTrip account with the e-mail address. ※Please understand that RootTrip offers one membership per person. If you forget your password, please follow the procedure below to reset your password. 1. Tap/Click on [Log in]＞[Forgotten Password]on the RootTrip home page. Please retry after updating Facebook to the last version. Also, it is impossible to use Facebook account which was already registered on RootTrip. Please login to the account you registered. *RootTrip recommends to use one account per person. Thank you for your understanding. Member registration and guide registration are free. *Please make sure the Specified Commercial Transaction about commission fee. If your guide don’t come on the day. *miscellaneous expense such as transport expense is customer responsible. Please note about it. *we will take the appropriate measures to the guide who are not appeared on the day. What kind of currency is acceptable? Cancellation policy for weather conditions. If you and other side decide to cancel the meeting because of unavoidable reason such as weather conditions, please notify to RootTrip in advance. In such cases, we treat the cancellation fee considering notification. Guest side can write a review after finishing the guide. It is depending on your judge. Is it possible to make a cancel on the guide day? Yes it is. Cancellation fee is changeable depending on when you cancelled a contact before guide day. After made an official offer, guest members can cancel a contact according to the way below. In this case, it takes some cancellation fee based on date below. Over 72 hours Guide time: 12 p.m. 19th march. Cancel limit: until 11:59 a.m. 16th march. Cancel limit: between 12 p.m.16th march and 11;59 a.m. 17th march. Cancel limit: between 12 p.m.17th march and 11;59 a.m. 18th march. ・In the case that not entered START and FINISH code which should have put on the guide time. According to terms of service Paragraph1, Article 8, when refund is happened, refund is conducted payment currency’s exchange rate after deduct payment commission of PayPal account. According to terms of service Paragraph1, Article 8, the time of payment collection from guest is within 30 days. According to terms of service Paragraph1, Article 8, the case of booking cancellation. Only the case of occurred cancellation fee, Lord Company transfer cancel fee from guest to guide account according to terms of service. If you could not contact by chatting, please contact us. We will contact to your opponent. In the case of a start code is wrong. In the case of a finish code is wrong. Is it possible to issue a receipt? Please see more details from here. What is going on about a facility fee and a food fee? 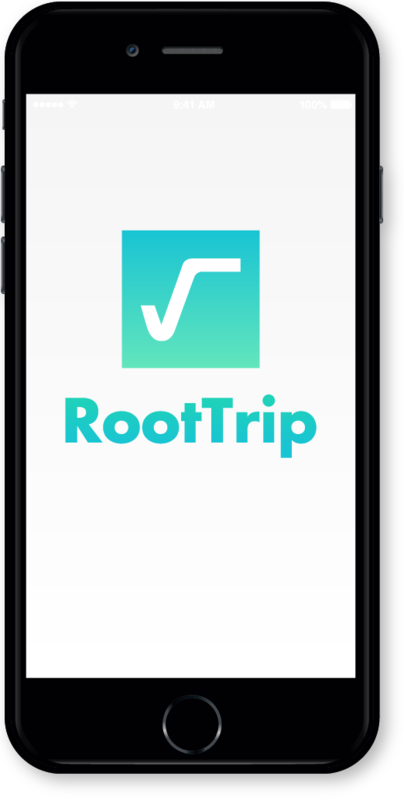 RootTrip suggests that you cover your own portion of food, beverage, entrance, travel, and other costs. Guests will cover their portion of costs. Guides will cover their portion of costs. Please settle the expenses among yourselves on the day of. We ask that guides please provide an estimate of total gasoline, food, beverage, entrance, travel, and other costs beforehand through the chat. When a deposit is completed? A deposit is completed when a correct Finish code is pushed on a guide sheet of a guide side. Please see the detail on credit card statement which is registered on Paypal account. What is include in a fee? Guide fee, commission for RootTrip, and commission for a card(Paypal). Other miscellaneous fee is not included such as food fee, transport fee, and facility admission fee etc. Extension time of a guide. Could not arrive push notification. In such case, please contact us. There are two ways that you can resister. By Facebook or ordinary registration by e-mail address. In the case of Facebook, please conduct login on Facebook. In the case of ordinary login, you need to register name, and e-mail address. Please follow the flow of registration. An important point in case of you would guide a place which has limited transportation. You could not charge the extension fee for traffic jam, and other transportation accident. Please let us know if you could not contact by chatting. We will contact the guest side. Even though there is no contact, we will recover your guide fee. What is going on if the guest extended the time, but did not accept the resetting the guide fee? Please let us know. We will contact the guest side. Is it safe that making a PayPal account after accepting a guide request? Please make an account in advance. Is there any important point when you decide the guide fee? Depending on your guide rank, your limitation of guide fee will be increasing. What kind of tax classification is adapt to the income by RootTrip? It classified as a miscellaneous income. Cannot search myself on guide page. We set you could not find yourself on guide page. Important point about decline the guide offer. We recommend you to accept a consulting offer at first. After that, we want you to choose to accept or decline. Does group (such as a guest house) register as a guide? Please follow the steps from [Be a guide] on the top page. Is there any rules about the place you can guide? No, we do not have any rules about the place. *We might delete the course which is related to political instability region and travel restrictions by Ministry of Foreign Affairs. It is necessary to register sample course to make guest have an image of the guide. Could not arrive the push notification. Is there any important point doing a guide registration? Many pictures make guest side feel safe. I want to change the e-mail address of my PayPal account. Please change from PayPal website. You can verify your ID following the procedure below. Please note that before verifying your user ID on PayPal, you cannot receive any payments. Which PayPal account (between Business and Personal) should I select? Please sign up for a Personal account. Please sign up for it on PayPal.